Waiting on Wednesday is a weekly event hosted by us, that highlights upcoming releases that we're eagerly anticipating. In this gripping exploration of a futuristic afterlife, a teen discovers that death is just the beginning. 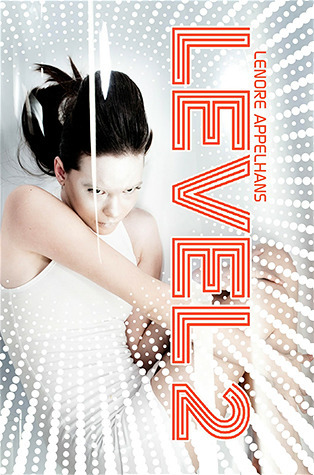 Since her untimely death the day before her eighteenth birthday, Felicia Ward has been trapped in Level 2, a stark white afterlife located between our world and the next. Along with her fellow drones, Felicia passes the endless hours reliving memories of her time on Earth and mourning what she’s lost—family, friends, and Neil, the boy she loved. Then a girl in a neighboring chamber is found dead, and nobody but Felicia recalls that she existed in the first place. When Julian—a dangerously charming guy Felicia knew in life—comes to offer Felicia a way out, Felicia learns the truth: If she joins the rebellion to overthrow the Morati, the angel guardians of Level 2, she can be with Neil again. Suspended between Heaven and Earth, Felicia finds herself at the center of an age-old struggle between good and evil. As memories from her life come back to haunt her, and as the Morati hunt her down, Felicia will discover it’s not just her own redemption at stake… but the salvation of all mankind. Ahhh! I totally want to read this right now. Afterlife is so seldom used in YA books nowadays that this is just a breath of fresh air. The cover! Must have it! Never ignore good books such as this. My advice.